Faiyum (Arabic: الفيوم‎‎ El Fayyūm [elfæjˈjuːm]; Coptic: ̀Ⲫⲓⲟⲙ Phiom) is a city in Middle Egypt. Located 100 kilometres (62 miles) southwest of Cairo, in the Faiyum Oasis, it is the capital of the modern Faiyum Governorate. Originally called Shedet in Ancient Egypt, the Greeks called it Crocodilopolis or Krocodilopolis, the Romans Arsinoë. It is one of Egypt's oldest cities due to its strategic location. Its name in English is also spelled as Fayum, Faiyum or El Faiyūm. Faiyum was previously officially named Madīnet El Faiyūm (Arabic for The City of Faiyum). The name Faiyum (and its spelling variations) may also refer to the Faiyum Oasis, although it is commonly used by Egyptians today to refer to the city. The modern name of the city comes from Coptic ̀Ⲫⲓⲟⲙ /Ⲡⲉⲓⲟⲙ epʰiom/peiom (whence the proper name Ⲡⲁⲓⲟⲙ payom), meaning the Sea or the Lake, which in turn comes from late Egyptian pꜣ-ymꜥ of the same meaning, a reference to the nearby Lake Moeris; the extinct elephant ancestor Phiomia was named after it. Archaeological evidence has found occupations around the Fayum dating back to at least the Epipalaeolithic period. The middle Holocene occupations of the area are most widely studied on the north shore of Lake Qarun, where Caton-Thompson and Gardner did a number of excavations of Epipalaeolithic and Neolithic sites, as well as a general survey of the area. Recently the area has been further investigated by a team from the UCLA/RUG/UOA Fayum Project. 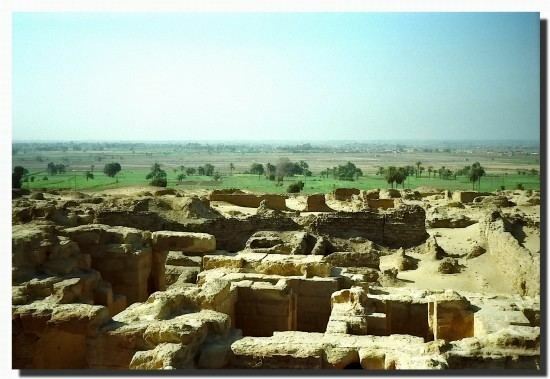 In the Pharaonic era, the city now called Medinet el Fayum (City of Faiyum) was called Shedet. The 10th-century Bible exegete, Saadia Gaon, thought el Fayum to have actually been the biblical city of Pithom, mentioned in Exodus 1:11. It was the most significant centre of the cult of Sobek, the crocodile-god. In consequence, the Greeks named it Crocodilopolis, "Crocodile City", from the particular reverence paid by its inhabitants to crocodiles. The city worshipped a tamed sacred crocodile, named Petsuchos, that was adorned with gold and gem pendants. The crocodile lived in a special temple pond and was fed by the priests with food provided by visitors. When the Petsuchos died, it was replaced by another. Under the Ptolemies, the city was for a while called Ptolemais Euergetis. Ptolemy II Philadelphus (309–246 BC) rechristened the city Arsinoë and the whole nome after the name of his sister and wife Arsinoë (316–270 or 268), whom he deified after her death, if not before. Under the Roman Empire, Arsinoe became part of the province of Arcadia Aegypti. To distinguish it from other cities of the same name, it was called Arsinoë in Arcadia. With the arrival of Christianity, Arsinoe became the seat of a bishopric, a suffragan of the Oxyrhynchus, the capital of the province and the metropolitan see. Lequien gives the names of several bishops of Arsinoe, nearly all of them associated with one heresy or another. The Catholic Church, considering Arsinoë in Arcadia to be no longer a residential bishopric, lists it as a titular see. Faiyum has several large bazaars, mosques, baths and a much-frequented weekly market. The canal called Bahr Yussef runs through the city, its banks lined with houses. There are two bridges over the river: one of three arches, which carries the main street and bazaar, and one of two arches, over which is built the Qaitbay mosque, that was a gift from his wife to honor the Mamluk Sultan in Fayoum. Mounds north of the city mark the site of Arsinoe, known to the ancient Greeks as Crocodilopolis, where in ancient times the sacred crocodile kept in Lake Moeris was worshipped. The center of the city is on the canal, with four waterwheels that were adopted by the governorate of Fayoum as its symbol; their chariots and bazaars are easy to spot. 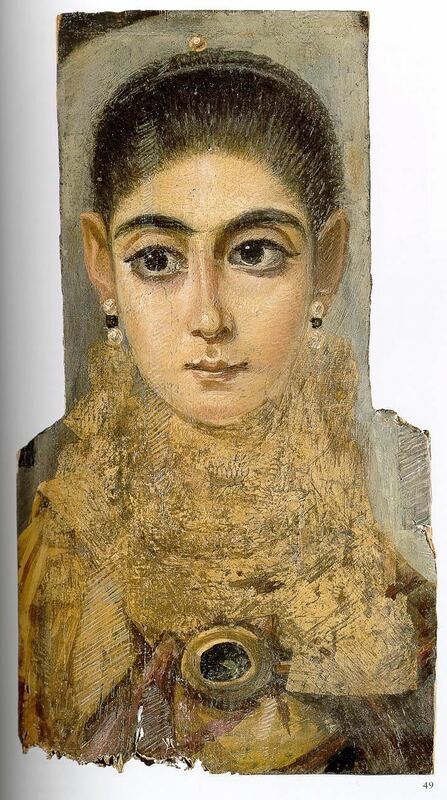 Faiyum is the source of some famous death masks or mummy portraits painted during the Roman occupation of the area. The Egyptians continued their practice of burying their dead, despite the Roman preference for cremation. While under the control of the Roman Empire, Egyptian death masks were painted on wood in a pigmented wax technique called encaustic—the Faiyum mummy portraits represent this technique. Modern studies conclude that the Faiyum portraits represent Greek settlers in Egypt. Victor J. Katz notes that "research in papyri dating from the early centuries of the common era demonstrates that a significant amount of intermarriage took place between the Greek and Egyptian communities". Wadi Al-Hitan or Valley of whales, a paleontological site in the Al Fayyum Governorate, some 150 km (93 mi) southwest of Cairo. It is a UNESCO World Heritage Site. The highest record temperatures was 46 °C (115 °F) on June 13, 1965 and the lowest record temperature was 2 °C (36 °F) on January 8, 1966. Tefta Tashko-Koço, well known Albanian singer was born in Faiyum, where her family lived at that time. Saadia Gaon, the influential Jewish teacher of the early 10th century, was originally from Faiyum, and often called al-Fayyumi. Youssef Wahbi, a notable Egyptian actor, well known for his influence on the development of Egyptian cinema and theater.